Malocclusion of the teeth is one of the most frequent reasons why people seek treatment from an orthodontist. It refers to a misalignment of the teeth that can lead to various oral health issues. 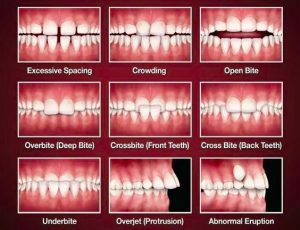 Crossbites, underbites, overbites, and crowded teeth are all types of malocclusion. Let’s look at some of the reasons and symptoms behind the disorder as well as common treatment options. Most of the time, malocclusion is inherited and is a hereditary trait. This also means that if you show signs of malocclusion, you might pass it to your children as well. There are various other issues that might affect the structure and shape of your jaw. For instance, if a baby keeps using a pacifier past the age of 3, then there is a risk that they might develop malocclusion later on. This is also the case if they used a baby bottle for a prolonged period of time or developed a thumb sucking habit. Other things that might cause malocclusion include a cleft palate or lip, injuries, impacted or abnormally shaped teeth, or jaw and mouth tumors. What Signs of Malocclusion of the teeth? Depending on the specific type, the symptoms of malocclusion can be either severe or more subtle. These may include things like mouth breathing, speech issues (such as a lisp for instance), misaligned teeth, trouble when biting and chewing, and changes in facial appearance. What are the Treatment Choices for Malocclusion? If you only exhibit mild symptoms, then you might not necessarily need to get treatment, unless you want to improve your teeth’s overall look. However, if you’re suffering from severe malocclusion, your dentist might recommend that you see an orthodontist for treatment. Some of the treatments available include braces to reposition the teeth, capping, reshaping or bonding of the teeth, teeth removal, jaw surgery or stabilization of the jaw bone using plates or wires. Is it Possible to Prevent Malocclusion? Since malocclusion is hereditary for the most part, completely preventing it can be difficult. However, there are some things that you can do to diminish the risks. First of all, you should limit the usage of baby bottles and pacifiers and make sure that your children do not use them past the age of 3. You should also prevent them from sucking on their thumb. And if you manage to detect signs early, you will be able to shorten treatment time and limit how obtrusive the treatment will be. If you’re showing signs of malocclusion, it would be wise to contact an orthodontist as soon as possible. The longer you wait, the harsher the treatment and the chances of developing complications will be. 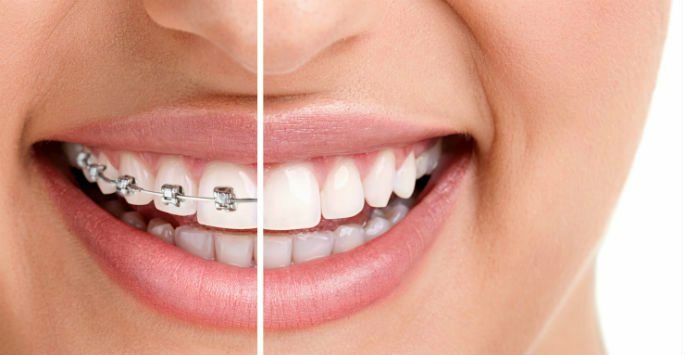 If you’re experiencing severe malocclusion symptoms and are looking for help, contact us today to schedule an appointment with the best orthodontist in New York.